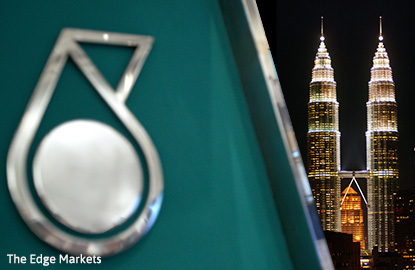 KUALA LUMPUR (Jan 25): Saudi Arabian Oil Co (Saudi Aramco) has scrapped plans to partner with Petroliam Nasional Bhd (Petronas) for an up to RM89 billion or US$20.1 billion project in Pengerang, Johor. Three sources familiar with the matter said Saudi Aramco concluded that the project led by Petronas would not generate sufficient returns, Wall Street Journal reported today. This came after Saudi Aramco had conducted a feasibility study on the project, the sources said. A Petronas spokesman commented, “Petronas does not respond to speculations and will not be offering any comments on this." Meanwhile, a spokesman from Saudi Aramco also said it would not comment on rumour or speculation, although it was continually evaluating new business opportunities. In June last year, it was reported that Petroliam Nasional Bhd (Petronas) intended to form a joint venture with Saudi Aramco as its partner for the Refinery and Petrochemical Integrated Development (RAPID). The refinery would reportedly have a capacity of 300,000 barrels per day (bpd) of crude oil, while the steam cracker plant would have an annual capacity of more than three million tonnes of petrochemicals. The preliminary plan of the plant was estimated to cost some RM50 billion or US$12 billion, according to the report.